London-based Inmarsat has won the UK's leading engineering prize for its pioneering work with its Broadband Global Area Network (BGAN). Inmarsat has picked up the Royal Academy of Engineering's MacRobert £50,000 prize, in recognition of the fact that they have successfully managed to overcome "formidable" engineering challenges. 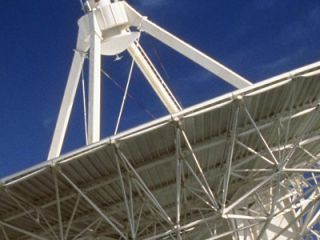 InMarstat's BGAN service is made up from a network of satellites offering almost global coverage for voice and data calls. The Royal Academy of Engineering's Dr. Geoff Robinson said of the award: "The Inmarsat team had the vision to see the demand for a global broadband service, and the courage to invest significant time and money in developing it. "That their service can deliver such tremendous humanitarian benefits, in addition to the technical and commercial ones, must be a source of great satisfaction to this outstanding team." Inmarsat's BGAN is used by news organisations to broadcast from remote locations worldwide. It has also become indispensable for aid agencies and disaster relief, having been a key tool in the post-earthquake aid missions in Haiti.